ST. GEORGE – The crowd cheered and clapped during St. George Mayor Jon Pike’s “State of the City” address Wednesday when he announced the underpass connecting Red Hills Parkway and Red Cliffs Drive under Interstate 15 in front of the Red Cliffs Mall would open the next morning – and it did. Absent are the crews that continued to work on the underpass for an extra month because of weather and soil issues that put the project behind. Sure, there may be work trucks and crews here and there as landscaping around the project is completed, along with other miscellaneous tasks, but overall the joint-venture between the city of St. George and the Utah Department of Transportation is complete. “I’m glad it finally happened,” Cameron Cutler, public works director for St. George, said Thursday. The underpass opened around 6 a.m. and Cutler and others are watching how motorists take to the new intersection via cameras set up at the scene. “Opened today! It works, we tried it,” Jeff Porter said Thursday in an email to St. George News. Originally pegged to be finished around Christmas 2016, people have repeatedly asked Cutler when the underpass would be finished. Now he won’t have to worry about answering that question anymore, he said. 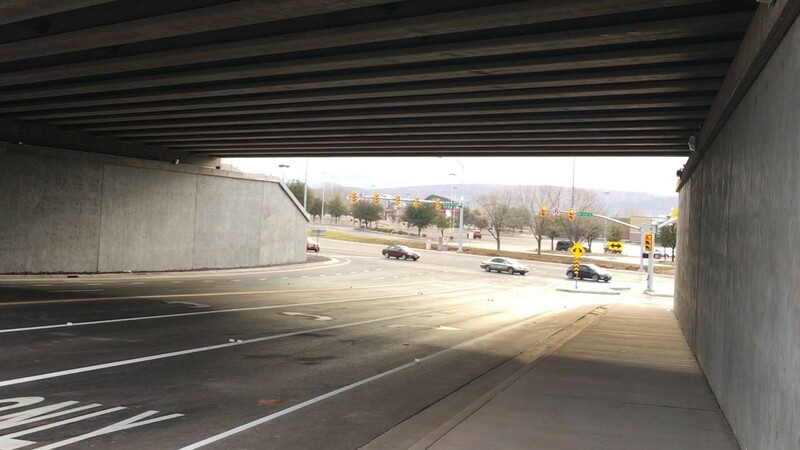 The underpass, also called the “Mall Drive Underpass” for a time, runs under I-15 and provides quicker access to area drivers who have otherwise had to use either the Exit 8/St. George Boulevard interchange in St. George or the Exit 10/Green Springs interchange to get across I-15. 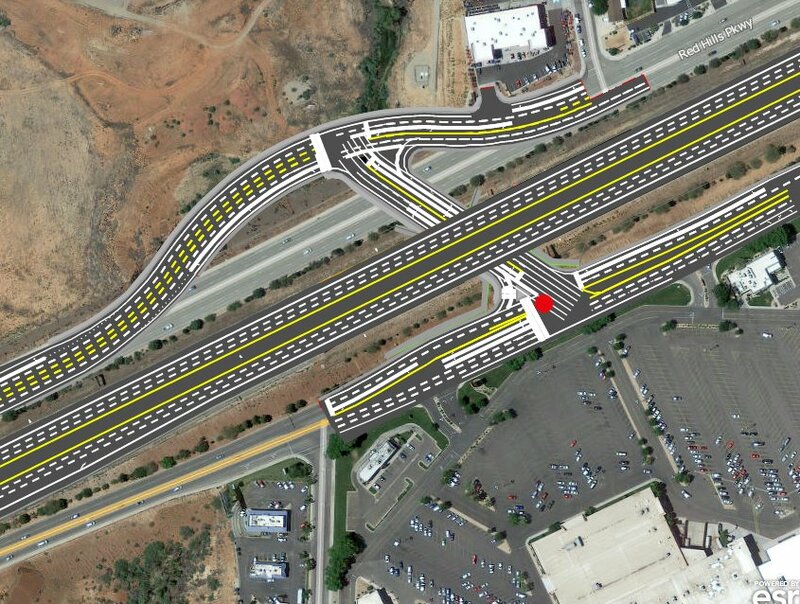 The new underpass is anticipated to help ease congestion issues surrounding the two interchanges, though Cutler said previously that issues around Exit 8 have been eased somewhat by the diverging diamond improvement made by UDOT to that interchange in 2013. The Green Springs/Exit 10 interchange, which is perhaps the most-hated interchange in the county and has also been likened to one of the circles of hell, is the spot where the congestion is felt the most, particularly during the holiday season. Road officials believe the underpass will lessen congestion to both interchanges by 10-to-15 percent. However, it will be about a year before the underpass’ effects on area congestion are measured and calculated, Cutler said. Work on the underpass began in June 2016 and was slated to end in December. While the UDOT portion of the project was primarily completed – the widening of I-15 between Exits 8 and 10 – underpass work ran into a snag. Soil issues underneath I-15 required a part of the project to be redesigned, Cutler said. After the issue was resolved – and weather started to cooperate – the project was deemed complete. The cost of the underpass to St. George was $4 million, with the overall UDOT project running the state agency around $18 million-$20 million. 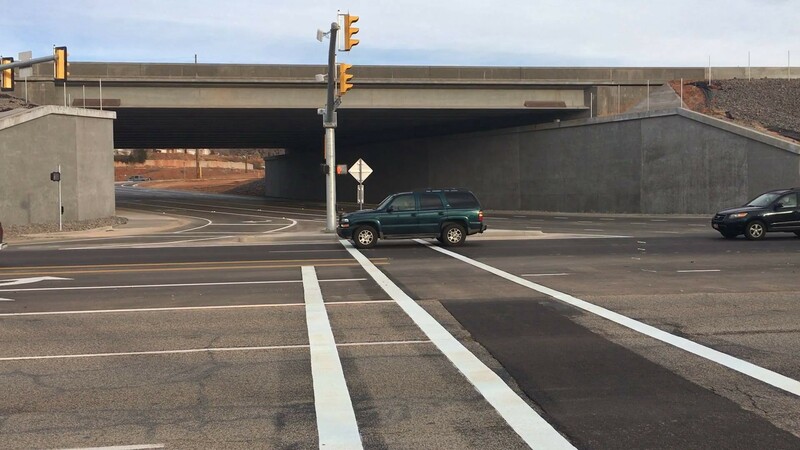 A pair of new traffic signals have also been set up on Red Cliffs Drive and Red Hills Parkway at the underpass location. The signals are programed to coordinate traffic though the area, particularly on Red Cliffs Drive where motorists can encounter the signals in rapid succession. The new underpass also includes access for pedestrians and cyclists. While this project is completed, residents interested in learning about ongoing and future road-related projects in the city and county can attend the upcoming Dixie Regional Transportation Expo at the Dixie Center St. George next Tuesday. The expo starts at 10 a.m.
I’ll put it to a vote…Which is worse, Exit 10 or the double Bloomington roundabouts? Depends on which you pass through most frequently, I suppose. I just don’t see this expensive new underpass helping anyone but a few along the frontage road. I live in Washington and I can’t figure out how it will help me. I will use I-15 or Red Cliff Pky with no benefit to underpass. A flyover off ramp from South I-15 to Snow Canyon Pky would have really helped getting from I-15 to Entrada, Ivins, Tuacan, Bluff. 8th wonder of the world…the two Bloomington roundabouts. I wonder why? Who thought and approved? Great job and glad it was done and I would like to thank all those involved in making this possible.